Pearls are among the birth stone for the summer month of June. 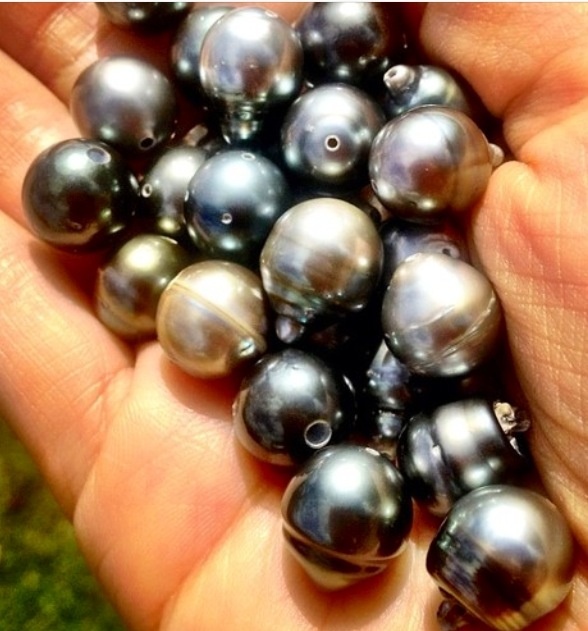 On this occasion we would like to introduce a special treasure here, which is native to warm, Sun-drenched lagoons in the Pacific Ocean: the Tahitian Pearl, one of the world’s most valuable pearls species. White pearls are well-known, but still precious lesser-known varieties exist alongside them. 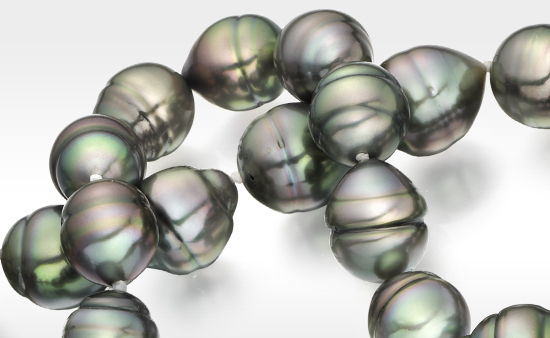 Their often dark colors are characteristic of the very valuable and beautiful Tahitian pearls. However, there are the huge exotic beads with a diameter between 8 and 18 mm in myriad shades of color. 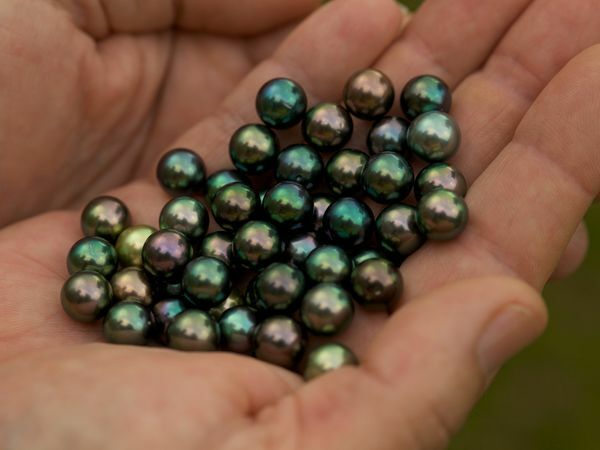 Tahiti pearls occur in the up to 27 cm tall and weighing up to 5 kg Schwarzlippigen Moss austern (Pinctada margaritifera cumingi), which are located mainly in the Polynesian region, the Cook Islands and Micronesia. 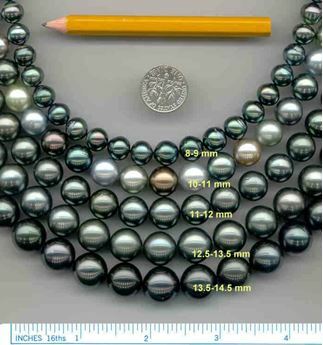 Is typical of Tahitian pearls a very dark silvery, metallic black body color. In addition, they exist but still in an amazing variety of other iridescent colours, from yellow gold over blue, green and violet to grey and cream white. Very precious, the Peacock are Tahitian pearls shimmering in the Green peacock feathers. 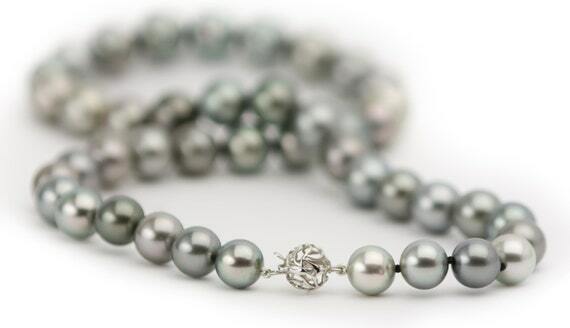 Black, auberginefarbene and silvery grey Tahitian pearls is considered to be very valuable. The color is divided into three categories: the body color, the overtones and the Orient. The body is the basic color, with Tahitian pearls, often a very dark, metallic silver or black. 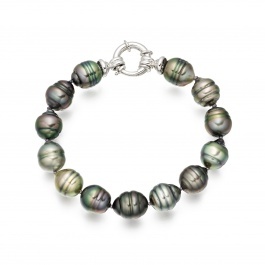 Overtone is the translucent colours which are about the body color and give a special charm and Tahitian pearls. 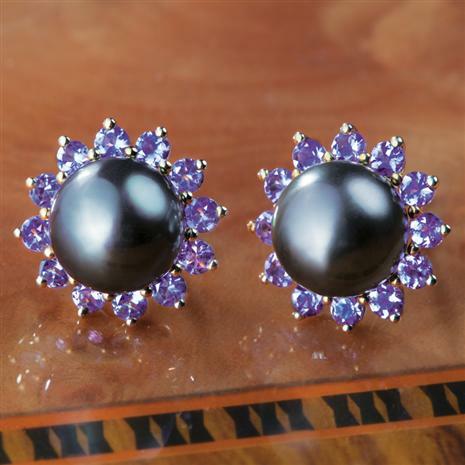 The Orient gives a charming appearance a Pearl and is responsible for their various shades of colour. Incoming light rays are reflected on the many of mounted one above the other layers of nacre . Each layer reflects only a portion of the incoming light. This, the mother of Pearl fulfills the function of a Prism which splits the light such as in a Rainbow in single bright colours. 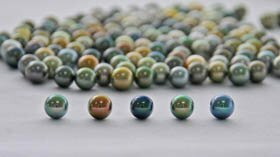 While all of our beads have a body color, overtones and Orient, which have a great influence on the quality and beauty, are not always available. Compared to the Orient, the inner glow or inner lights of the Pearl, the chandelier refers to the surface shine. Ever clearer and clearer the shine, the higher is the quality of the Pearl. The effect of Pearl with less strong luster is rather dull and blurry. 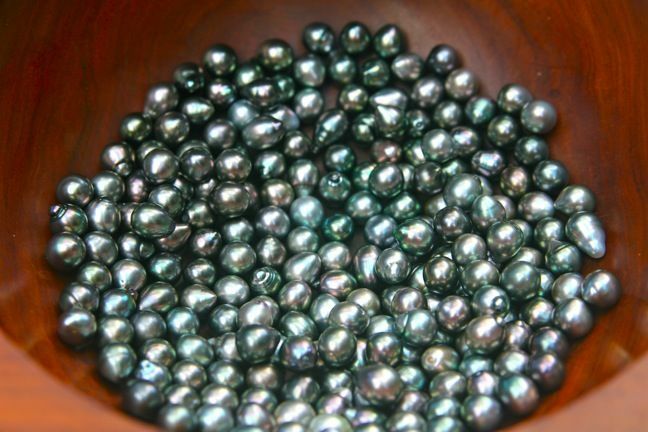 On Tahiti, they say different legends to the emergence of Tahitian pearls. One version says that Oro, the God of the sky several times over a rainbow to the Earth traveled to visit the island’s inhabitants of Tahiti. During one of his visits, mingled with the light of the Moon the color of the Rainbow and black Tahitian pearls formed in the sea. 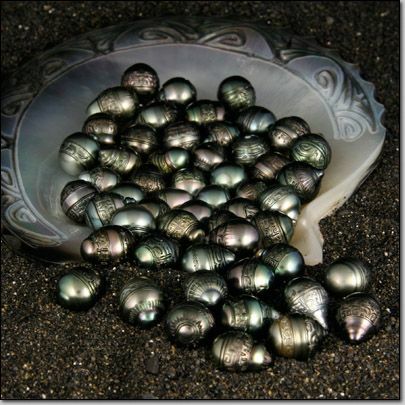 According to another tradition, to Oro fell in love with the Princess of Bora Bora and gave her a Black Pearl, who knew not unparalleled in their beauty and size. The Princess estimated the Pearl, which reflected the beauty and the vibrant colors of the Rainbow, above everything else. When Europeans discovered the Islands in the Pacific Ocean in the late 18th century, they learned quickly from the rich treasures of the sea and started with the exploitation of Pearl-producing oysters. These were a sought-after treasure because of its beautiful Perlmutts. 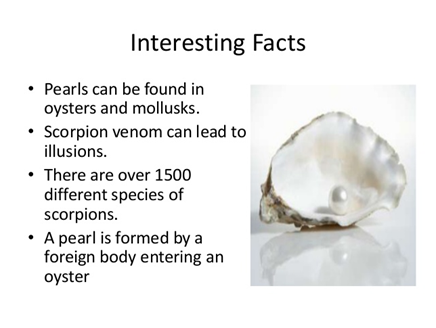 In the aftermath of the Pearl oysters from extinction were threatened, that changed when the French conquerors were strict rules for the removal of the pearls around the year 1880. 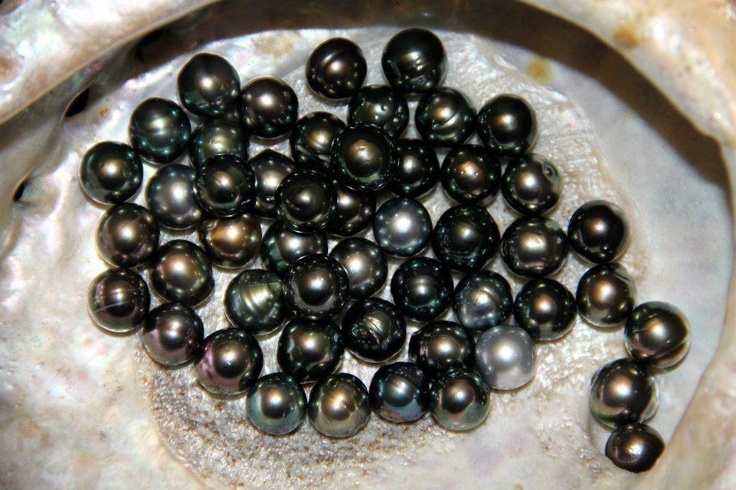 Today it is possible Tahitian pearls, like all other types of beads, to breed. The creation process is helped while artificially on the jumps, but the beads are then quite natural manner. 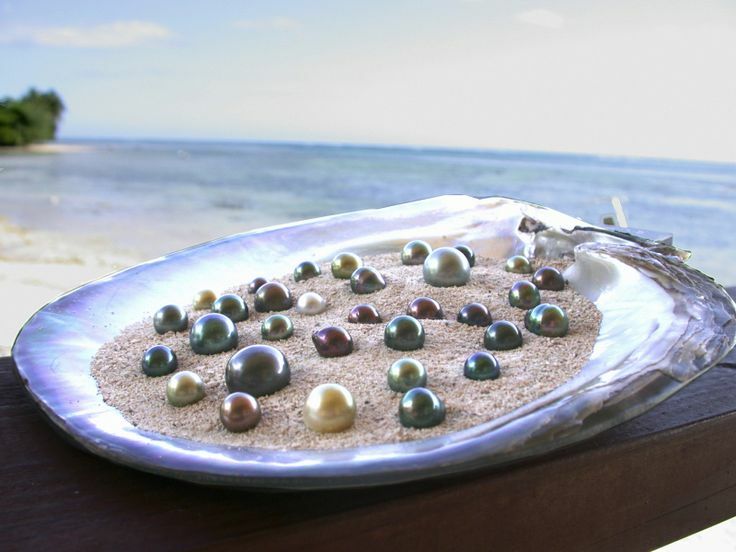 Due to their extraordinary colors and beauty, we appreciate Tahitian pearls. 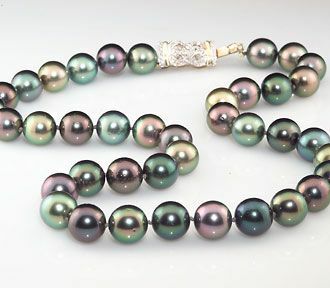 If you are interested in an individual piece of jewellery with Tahitian pearls, you can contact us. No matter whether it be earrings, a ring or a necklace is – we advise to choose of the beads and make you desire a piece of jewelry in. Contact us: service@renesim.com or phone: +49 89 1222 893 0.